We can fix just about anything concerning non-pedal harps. 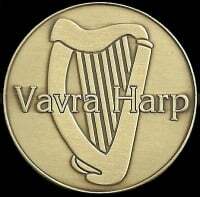 Your harp is repairable. We can replace strings, install and regulate levers, tune, repair the finish or replace wooden parts. A cracked or broken neck, soundboard, pillar or resonator can be repaired so let us give you an estimate before you give up on it! If you have an antique or vintage harp, it can probably be restored to playable condition and probably worth your time to let us give you an estimate. Working from pictures, sketches, and available plans can take us a long way to recreating older style instruments. Send us what you have and what you would like done and we'll respond with an estimate. Bringing your vision to reality. You are involved from concept to delivery so you get exactly what you want.